The Israeli occupation forces (IOF) at dawn Monday arrested 25 Palestinians during West Bank sweeps. The PIC reporter said that the IOF raided Kobar village, north of Ramallah, and arrested 12 Palestinian citizens. Other Palestinians, including two ex-prisoners and a lawyer, were arrested in campaigns targeting Silwad and Ras Karkar villages, east and west of Ramallah respectively, he added. 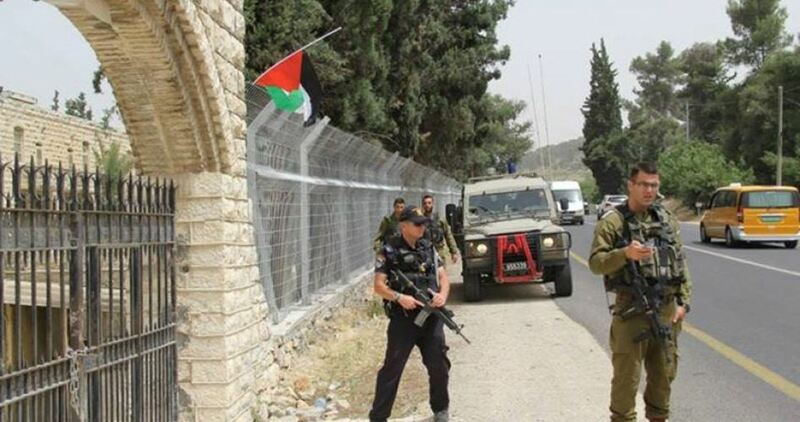 The IOF further closed the road between Kobar and Burham villages and searched Palestinian houses in the area. 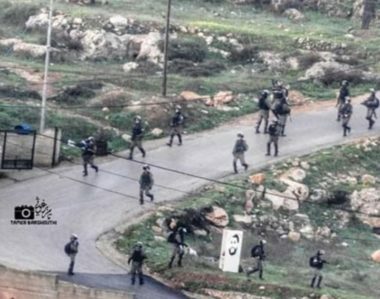 Local sources said that violent confrontations broke out between the IOF soldiers and Palestinian citizens during the raid. The PIC reporter said that the IOF broke into the house of the Palestinian martyr Saleh al-Barghouti in Beit Rima town, west of Ramallah, and interrogated his wife. In the nearby al-Ersal area in Ramallah, the IOF raided the house of the Palestinian journalist Alaa al-Rimawi and seized mobiles, laptops, and 7,000 NIS before they left. At least six Palestinians were arrested in Jerusalem and two others in Ya'bad town in Jenin, local residents told the PIC reporter. Meanwhile in Nablus, violent clashes broke out at daybreak during which the IOF heavily fired live ammunition and teargas canisters at the Palestinians. The IOF raided many Palestinian houses and wreaked havoc on them, and abruptly closed Huwara checkpoint and blocked movement in both directions. Israeli soldiers abducted, on Monday at dawn, ten Palestinians from Kobar town, north of the central West Bank city of Ramallah, after invading and searching their homes, and confiscated a mobile phone. The invasion was carried out while military bulldozers closed the road between Kobar and nearby Burham, with concrete blocks. The soldiers invaded and ransacked many homes, causing excessive property damage, especially after they smashed main doors of a number of homes, in addition to the very violent searches. Furthermore, the soldiers invaded the home of Saleh Omar Barghouthi, 29, who was killed by the army on December 12, 2018, interrogated his widow, Shaima’ Rimawi, for several others, and confiscated mobile phones and more than 7000 Shekels. The soldiers also invaded and ransacked Omar Barghouthi, the father of Saleh, in Beit Rima town, north of Ramallah. 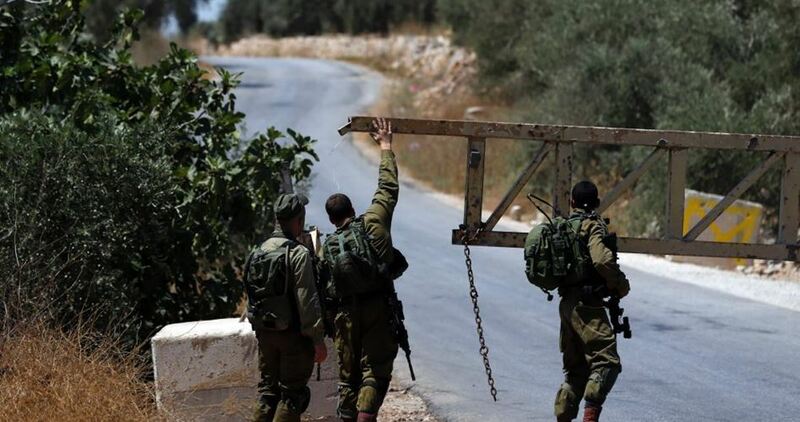 The Israeli occupation forces (IOF) on Sunday morning closed the road barrier at the main entrance to Deir Abu Mash'al village, northwest of Ramallah city, and prevented the local residents from going in or out. Deputy chief of the village Fawwaz al-Barghouthi said that the Israeli closure prompted some citizens to use bumpy roads to leave and enter the village. He added that the IOF closes the main entrance to the village every once in a while in order to tighten the noose around the local residents and make their life unbearable. The IOF set up an iron road barrier at the entrance to the village in early December, 2018. 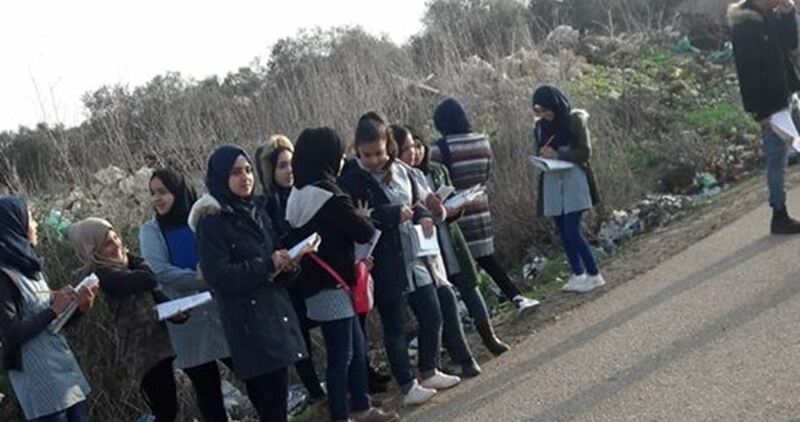 Local resources reported, according to Al Ray, that Palestinian students from Um El-Rayhan and Daher El-Abed towns were deprived of reaching their schools due to the checkpoint closure, as usual. The Director of Education in Jenin condemned, in a press release, the Israeli military’s procedure and considered it a disturbance, as it prevented the students from performing their final examinations. 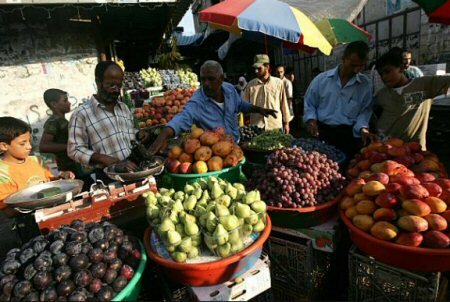 The Palestinian government decided, on Thursday, to ban entry of Israeli vegetables, fruits and poultry into the Palestinian market, following an Israel ban on import of similar Palestinian products. Israel took its action against the Palestinian produce after the Palestinians decided not to allow, into their markets, live sheep imported by Israelis, in order to protect the local livestock farmers. 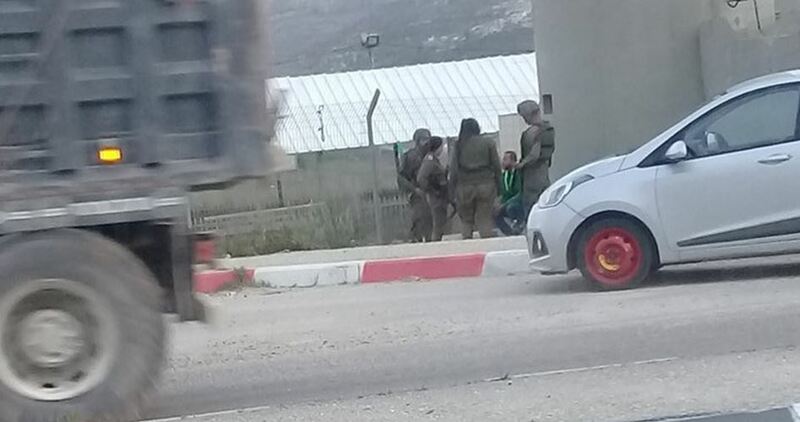 The Israeli occupation forces (IOF) on Wednesday morning prevented Palestinian students in southern Jenin from going to their schools. An official from the education ministry in Jenin told the Palestinian Information Center (PIC) the IOF closed the checkpoint of Umm ar-Rihan, with no reason, and barred dozens of local students from going to their schools. Palestinian students from the villages of Umm ar-Rihan and Daher al-Maleh have to go through this checkpoint every day in order to reach their schools and return to their homes. 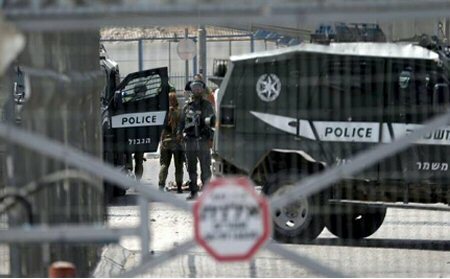 The Israeli Occupation Forces (IOF) closed Hawara checkpoint in both directions following the shooting of a Palestinian driver near the military checkpoint earlier Wednesday. Israeli media sources claimed that the driver was planning to carry out a car-ramming attack before being shot by Israeli soldiers. No casualties were declared during the alleged incident. The driver was left bleeding for several hours before being taken in an Israeli ambulance, eyewitnesses said. Dozens of Palestinian farmers rallied on Monday at the Jalama checkpoint, north of Jenin, protesting Israel’s ban on the export of vegetables to territories occupied in 1948. Palestinian farmer Ahmad Saba’na said the ban has resulted in financial damage as hundreds of kilograms of fruits and vegetables have been piled up for eight days running. He added that hundreds of farmers are on the verge of going bankrupt due to the Israeli measures. Some eight days ago, the Israeli minister of agriculture ruled that vegetable delivery into Palestinian territories occupied in 1948 be banned in response to a decision by the Palestinian Ministry of Agriculture outlawing the import of sheep from illegal Israeli settlement outposts built on occupied Palestinian land. The Israeli occupation forces (IOF) on Monday morning closed the main gates to Arroub refugee camp and Palestine Technical University. Dean of Students Affairs Department at Palestine Technical University- Arroub branch, Issa al-Emla, said that the IOF soldiers have been deployed in large numbers around the university since the early morning hours. Al-Emla said that the IOF further prevented Palestinian citizens from leaving or entering the camp through its main entrance. Al-Emla stressed that the closure imposed on Palestine Technical University is a deliberate aggression on Palestinian institutions and a blatant violation of international norms. Dozens of Palestinians were injured on Sunday during clashes with the IOF in Arroub camp, north of al-Khalil city. Local sources said that the IOF heavily fired rubber-coated metal bullets, stun grenades, and teargas bombs at the Palestinian citizens. 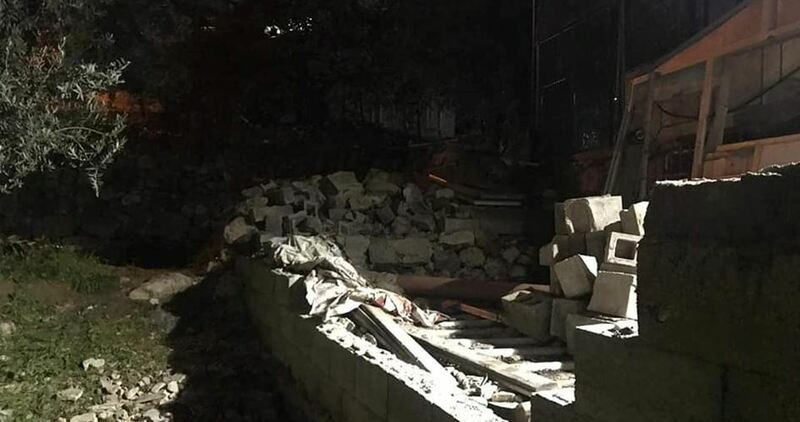 Israeli settlers on Sunday evening demolished a Palestinian-owned room in Tal Rumeida neighborhood in al-Khalil. Eyewitnesses said that the Israeli occupation forces arrested the Palestinian citizen Nader Abu Mayyala at a military checkpoint near the city. The witnesses said that the Israeli forces further opened fire at a Palestinian vehicle passing through a checkpoint at the northern entrance to al-Khalil. No injuries were reported. 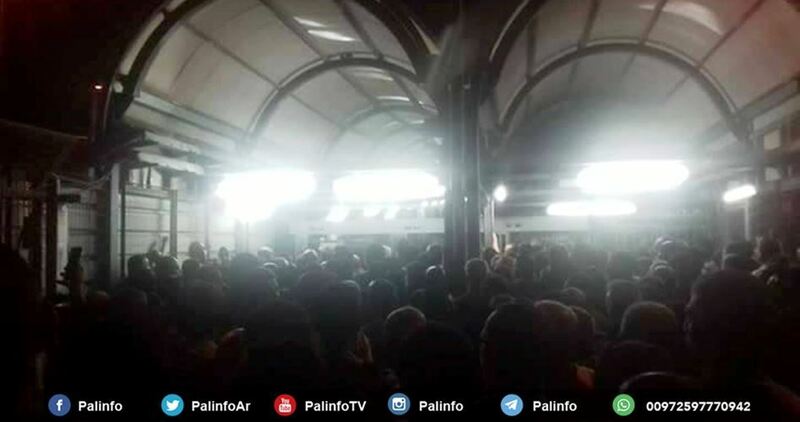 Local sources said that earlier on Sunday the Israeli forces installed a checkpoint at the northern entrance to al-Khalil, searched the Palestinian vehicles passing in the area, and scrutinized the passengers' IDs. Meanwhile in Beit Ummar town, north of al-Khalil, the Israeli forces raided a gas station and closed it by a military order. Annually, Israeli authorities file travel permits for only a small percentage of Palestinian Christians in the besieged Gaza Strip, dividing families apart during the holiday season and preventing them from pilgrimage to the birthplace of Jesus Christ in Bethlehem. The Israeli occupation annually obstructs the travel of Palestinian Christians from Gaza to Bethlehem and Jerusalem to attend Christmas celebrations and be reunited with their families in the occupied West Bank. According to local sources, the Christians, who form a minority in Gaza, annually apply for "holiday permits" to the West Bank, however, most of the time Israeli authorities purposely file permits for the parents and not the children, or in other cases for the mother and not the father. Sources noted that most Christian families are divided due to this type of restriction and are unable to travel outside of Gaza and celebrate in Bethlehem or elsewhere. 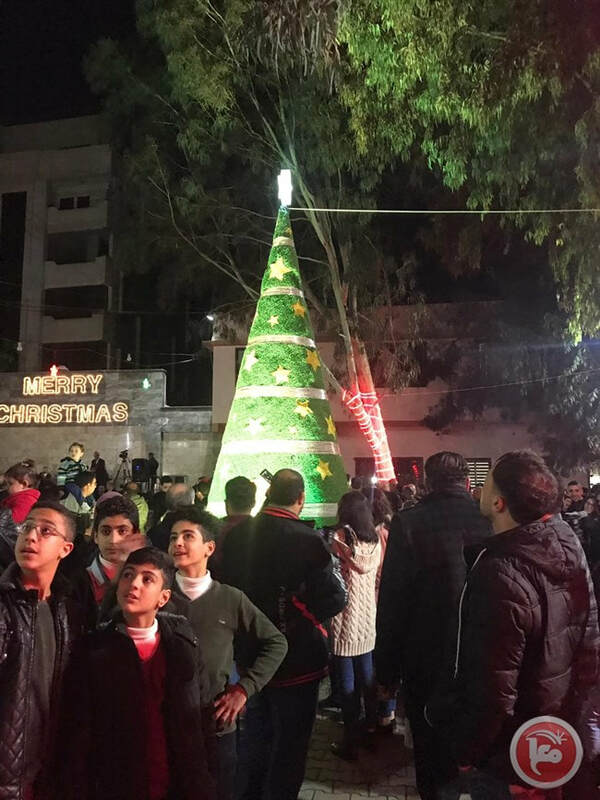 It is noteworthy that over the weekend, Christians gathered for the first Christmas-tree lighting ceremony in over a decade, which the Christian Orthodox Patriarchate and the Latin Patriarchate also attended the ceremony to mark the start of the holiday celebrations. Israel has halted admission of all vaccinations to the Palestinian territories, and has been holding them at its ports for over three months, claiming that a 1986 law allows the import of the vaccines from only 10 countries. However, the Palestinian Ministry of Health has been importing vaccines, ever since it was established in 1995, from the countries that were certified by the World Health Organization (WHO), and the vaccines were brought to Palestine by UNICEF. He said that many diseases have been eradicated in Palestine, due to the vaccination, and, by preventing them from reaching Palestine, it means that diseases such as polio, of which the last case discovered was in 1988, along with many other serious diseases such as chicken pox and measles. WHO had previously said that Palestine was free of these diseases, but it is now feared that they will come back to threaten the lives of the children. The Israeli occupation forces (IOF) have continued to impose a blockade on the cities of Ramallah and al-Bireh in the West Bank for the sixth consecutive day after the death of two Israeli soldiers last Thursday in a Palestinian shooting operation. 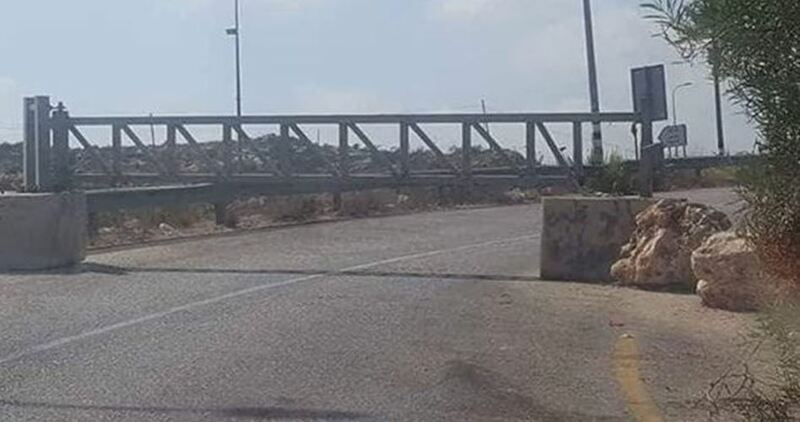 The military barrier of Beit El, which is at the northern entrance to Ramallah and Bireh cities, is still completely closed and no single Palestinian vehicle can use the road through this IOF checkpoint. Several entrances leading to the cities are also blocked with barriers, where the IOF imposes tight restrictions on the movement of Palestinian citizens and vehicles, especially those leaving the cities and nearby areas. The IOF is also restricting the movement of Palestinian vehicles at the checkpoints of Jaba (south of Ramallah), Ein Siniya and Atara (north), which has caused heavy traffic jams. The Israeli occupation forces on Tuesday tightened military grip around Jenin province and blocked Palestinians’ free movement across the city. Local sources said Israeli patrols deployed at Dutan military checkpoint stopped dozens of vehicles at a checkpoint set up south of Jenin. At the same time Palestinians passing through the area have been subjected to exhaustive inspection by the occupation forces. 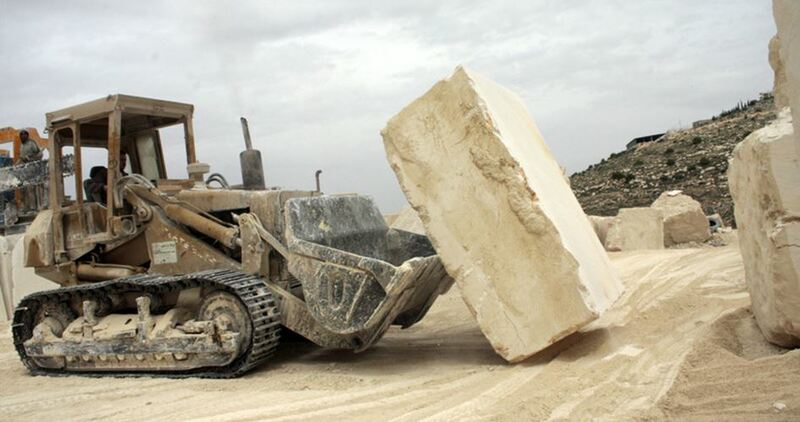 The Israeli occupation forces (IOF) on Monday evening deployed concrete blocks on a road near Khirbet al-Deir village, southwest of Bethlehem in the West Bank. According to local sources, the IOF placed four concrete blocks on the road in order to use the spot as a checkpoint to search Palestinian citizens and allow soldiers to position themselves behind the cubes during clashes with local youths. The West Bank has been seeing escalating violent tension in recent weeks, especially after the IOF killed several Palestinians and carried out widespread demolitions against homes. The Israeli occupation forces (IOF) on Friday afternoon blocked several roads in southern and western Nablus in the West Bank and obstructed the movement of Palestinian citizens and vehicles. According to eyewitnesses, Israeli soldiers set up checkpoints on Deir Sharaf road and on roads leading to the towns of Burin, al-Lubban al-Gharbi and Madama. 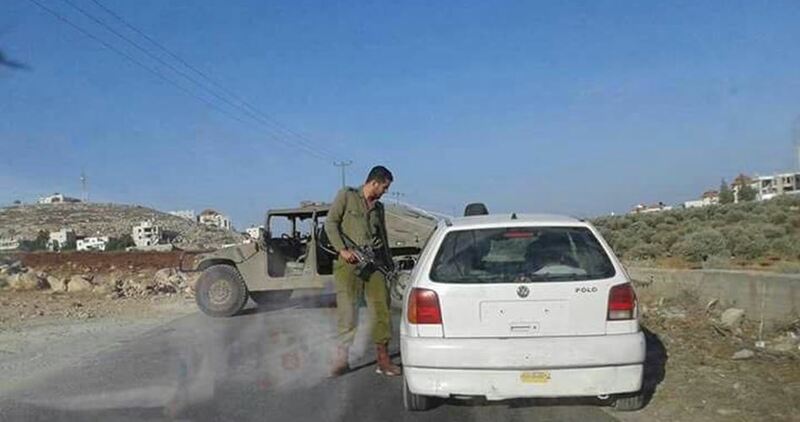 The soldiers intercepted Palestinian vehicles, searched them and checked the IDs of passengers. 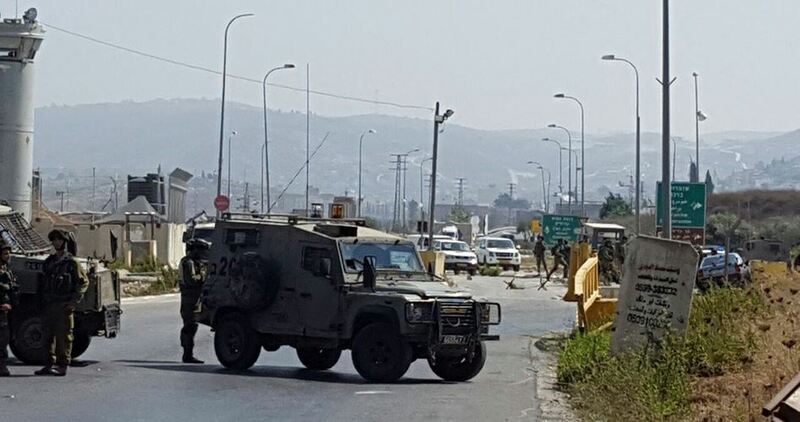 Earlier, violent clashes broke out between Palestinian young men and Israeli soldiers near al-Lubban ash-Sharqiya town, south of Nablus, before the latter closed the Nablus-Ramallah road near the town.